WOODBURY – Ricardo Grave de Peralta, Acting Special Agent in Charge (A/SAC) of the FBI Atlanta Field Office, announces the arrest of two more suspects in a violent takeover-style bank robbery that occurred on June 28, 2018. The FBI would like to thank the news media and the public for their help in identifying D’Asis Sheffield, 20, of Greenville, GA. Sheffield, who was arrested this morning, was identified from a video that was released to the public through the media on July 27, 2018. 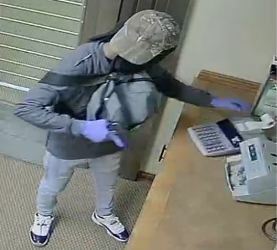 Sheffield was one of three suspects seen inside the United Bank located at 33 Jones Mill Road, Woodbury, GA, during the robbery. 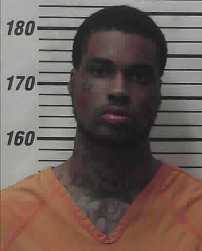 A fourth suspect, Dontavius Prather, 22, thought to be from the Greenville area as well, was also arrested this morning along with Sheffield. Prather is believed to be the driver of a getaway vehicle. Two other suspects, Derrick R. Scott, 26, of Augusta, GA and Antavious Bray, 29, of Greenville, GA, were taken into custody hours after the robbery. The robbery occurred at approximately 12:25 PM, on Wednesday, June 28, 2018. 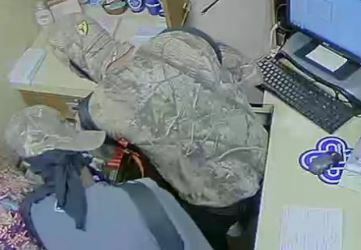 Three suspects, two armed with handguns and the third armed with an AR-15 rifle, entered the United Bank and forced employees to the ground at gunpoint and stole an undisclosed amount of cash. Note from the Editor: This brings the total number of arrests to four in this robbery. 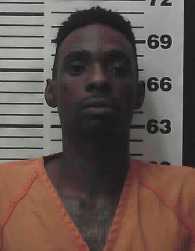 Pike County Times tried to obtain photos of the lastest suspects but was advised that policy does not allow the release of photos for those who are in federal custody. Readers can find out more about this incident by reading articles below this incident. Articles are listed in date order beginning at the bottom of the page. Thank you for reading Pike County Times! Introducing the first sponsor of Pike County Times’ Breaking News Alerts! First Bank of Pike has been serving customers in Pike County and the surrounding area since 1901 and offers Personal and Business banking with a personal touch. Services include checking, savings, money market, certificates of deposit, and IRA’s. Mobile Banking and Bill Payment services are also available! Click here for more. Please let First Bank of Pike know that you appreciate their sponsorship of Breaking News Alerts on Pike County's only FREE online newspaper! If you want to find out about how you can get Breaking News Alerts, click here. Thanks for reading and supporting Pike County Times.com! WOODBURY - Murang Pak, Acting Special Agent in Charge (A/SAC), FBI Atlanta Field Office, is asking for the public’s help in identifying a suspect in a violent takeover-style bank robbery that occurred on June 28, 2018. Two other suspects, Derrick R. Scott, 26, of Augusta, GA and Antavious Bray, 29, of Greenville, GA, were taken into custody hours after the robbery. The third unidentified suspect is believed to have been in the bank when the robbery took place (see photos below). 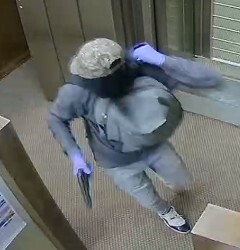 At approximately 12:25 PM, on Wednesday, June 28, 2018, three suspects, two armed with handguns and the third armed with an AR-15 rifle, entered the United Bank, 33 Jones Mill Road, Woodbury, GA and forced employees to the ground at gunpoint and stole an undisclosed amount of cash. The FBI is hoping someone can identify the third suspect in the photos and possibly a fourth unknown suspect who may have been driving a getaway car, described as a 2007 black Chevrolet Impala SS. United Bank is offering a reward of up to $10,000 for information that leads to the arrest and conviction of those suspects. 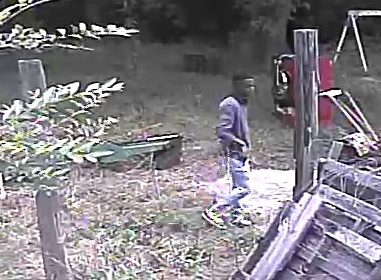 Anyone with information regarding the identity of the two suspects is asked to contact Crime Stoppers Atlanta at (404) 577-TIPS (8477). Disclaimer by FBI: The public should be reminded that the above are merely allegations and that all persons are to be considered innocent until proven guilty in a court of law. 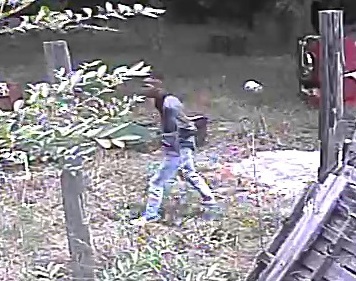 Click here to see video footage of suspect #3 provided courtesy of the FBI. Photo courtesy of the FBI. A large photo is below the second article at the bottom of the page. 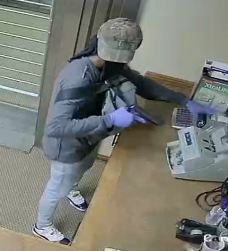 WOODBURY – United Bank in Woodbury was robbed yesterday at 12:24 p.m. Two of the four suspects are in FBI custody. Details from the robbery can be found in detail in the FBI article below. Woodbury Mayor Steve Ledbetter spoke to Pike County Times by phone this morning about yesterday’s robbery. Mayor Ledbetter advised that the response to the silent alarm was very quick and that the officer was in position to see the robbery suspects leaving the bank. He advised that the officer fired a shot in self defense at the robbery suspects when they turned in his direction as they were leaving the bank. He advised that there was a large turnout of law enforcement in Woodbury to help with this case. Woodbury Police Department, Meriwether County, the Georgia Bureau of Investigation (GBI) and Federal Bureau of Investigation (FBI) were all on site yesterday to help apprehend two of the suspects and provide support during this case. “For us to turn this around so quickly with two arrests was wonderful,” he said. He said that the community pulled together yesterday, and tips began pouring in soon after the robbery. “Everybody in the community wanted these people caught for what they had done to our neighbors.” He also said that it was a privilege to watch the Woodbury Police Department work on this case. Mayor Ledbetter said that two of the suspects surrendered without incident. He also spoke as a retired law enforcement officer and stressed that everything went by the book. Mayor Ledbetter advised by that this is an active investigation and that multiple law enforcement agencies are working toward the arrest of the remaining suspects. 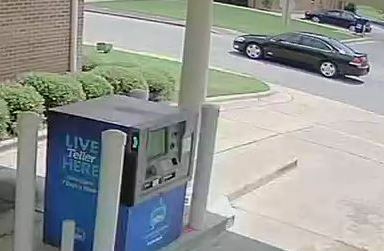 Anyone with information or tips on this robbery can call the Woodbury Police Department at 706-553-2011. Photo of the get away car courtesy of the FBI. Photo courtesy of the Meriwether County Sheriff's Office. WOODBURY – J. C. Hacker, Acting Special Agent in Charge (A/SAC), FBI Atlanta Field Office, in conjunction with Chief Sam Baity, Woodbury Police Department announce the arrest of two suspects in a violent takeover-style bank robbery and the search for two, possibly more suspects. Derrick R. Scott, 26, of Augusta, GA and Antavious Bray, 29, of Greenville, GA were taken into custody hours after the robbery that occurred at the United Bank, 33 Jones Mill Road, Woodbury, on June 28, 2016. 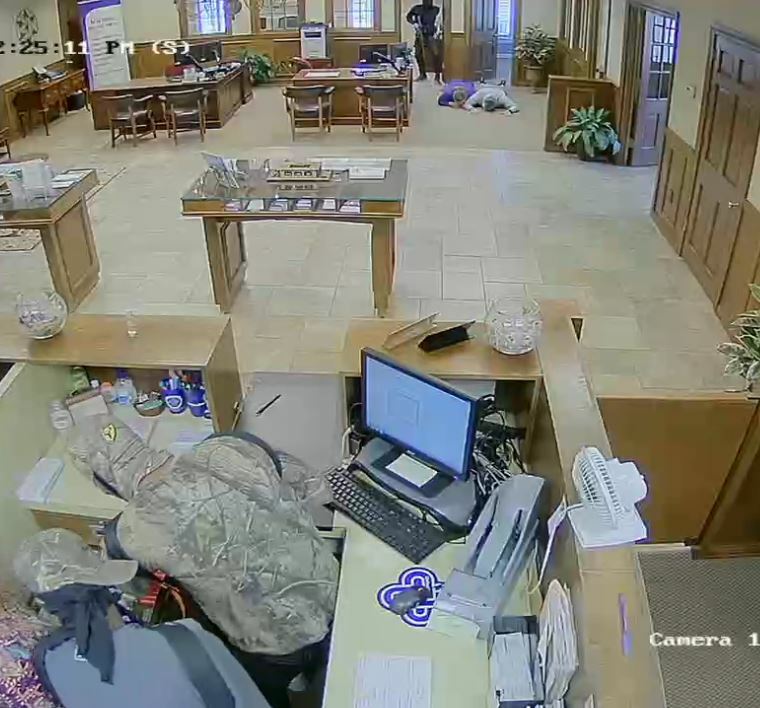 At approximately 12:25 PM, on Wednesday, three suspects, two armed with handguns and the third armed with an AR-15 rifle, entered the bank and forced employees to the ground at gunpoint and stole an undisclosed amount of cash. The FBI is asking for the public’s help in identifying two or more possible suspects. United Bank is offering a reward of up to $10,000 for information that leads to the arrest and conviction of those suspects. One of the unidentified suspects is described as wearing a camouflage ball cap, gray sweatshirt and blue jeans, and carrying a gray backpack. His face was fully covered. (See attached photos). There is no description of the other suspect, who is believed to be the driver of the getaway vehicle, described as a 2010-2013 black Chevrolet Impala (See attached photo). The FBI would like to thank the Woodbury Police Department, Meriwether Sheriff Department and the Georgia Bureau of Investigation (GBI) for their cooperation in this investigation. Update at 9:22 p.m. on 6.29.18 from the FBI: We have recovered most of the money that was stolen from the bank. We are still looking for at least two suspects.